Sifu Rick Wong teaches a variety of northern and southern styles of Contemporary Wushu and Traditional Kung Fu, emphasizing power and agility. Training concentrates on increasing flexibility, strength, speed and cardiovascular endurance. The curriculum covers empty hand forms, self-defense applications, sparring and chin na (joint locking) techniques. Weapons taught include straight sword, broadsword, staff, spear, chain whip, rope dart, three-sectional staff, and hook swords. Shuai Chiao, the oldest documented fighting system of China, goes back about 2,000 years. It is a grappling style that emphasizes locking and throwing techniques. 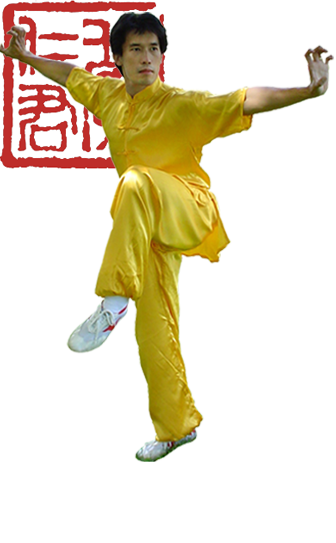 Tai Chi Chuan focuses on soft, continuous, circular movements, practiced in a meditative manner. Appreciated for it's artistic and therapeutic values, Tai Chi is also a highly sophisticated system of self-defense. Classes consist of stretching and breathing exercises, Tai Chi movements, and pushing hands training - a two-person exercise designed to enhance sensitivity and reaction skills. The curriculum includes 24-movement; the 42-step and sword compulsories; 66- combined; Sun style; Chen style; tai chi weapons including straight sword, broad sword and spear; and pushing hands. Sifu Wong also teaches Fu style Pa Kua and Hsing Yi.